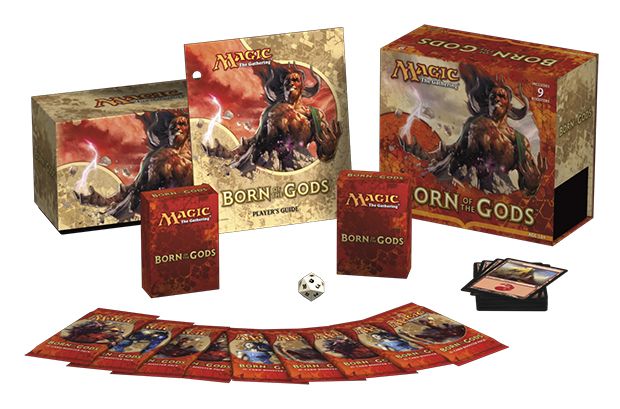 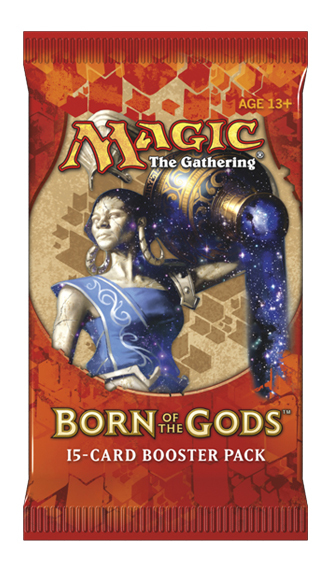 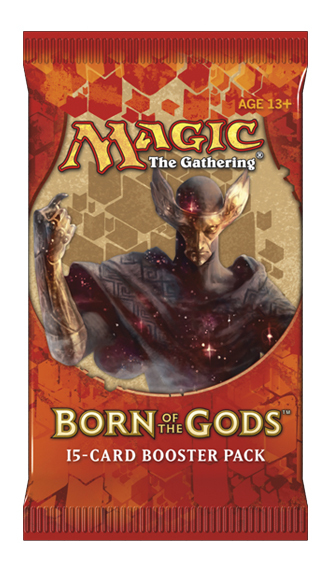 So the booster packs have the art for Phenax, Ephara, and Mogis. 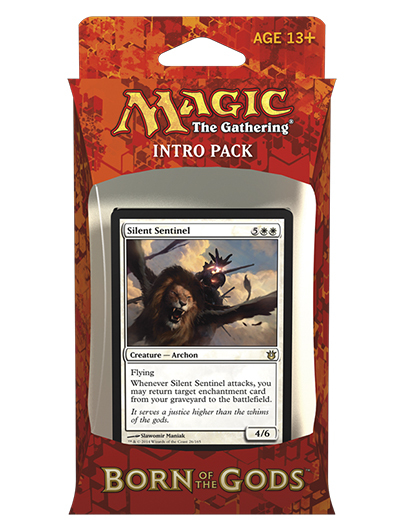 Silent Sentinel, an expensive to play card that comes in foil in the intro pack, and an alternate art promo in the white prerelease box. 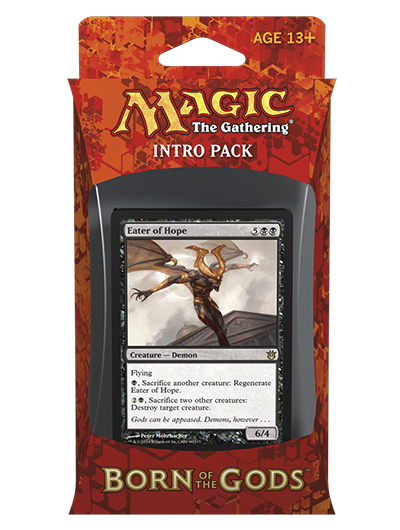 Useful in Commander, maybe, but I don't see this being useful in competitive play. 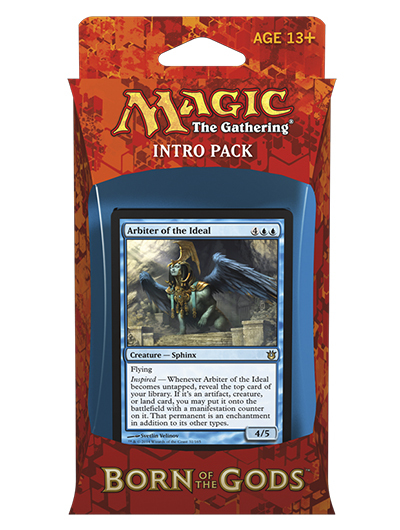 Arbiter of the Ideal, also pretty difficult to play, but imprint allows you to put artifacts, creatures, and land from your library onto the battlefield when it untaps. 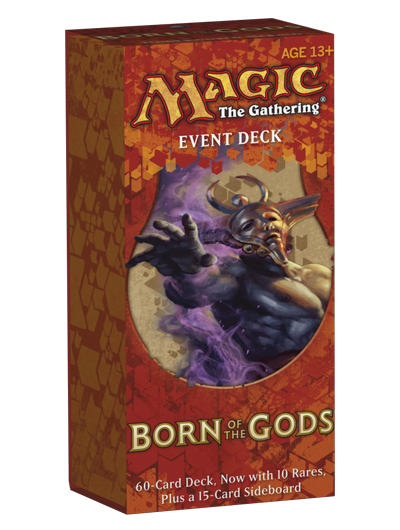 While I'm not sure what a manifestation counter is, I can assume having one on a card indicates that it is an enchantment. 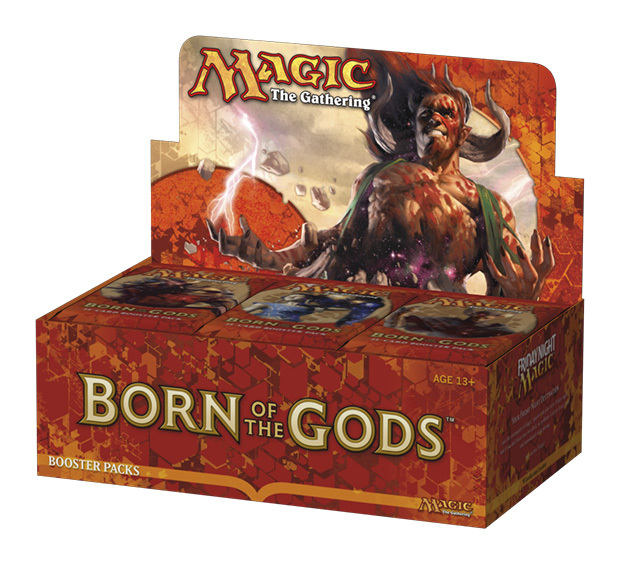 Yet another expensive card to cast, but late game (or with Nykthos), you can for the destruction of a creature you don't want on the field, but at the cost of two of your own creatures. 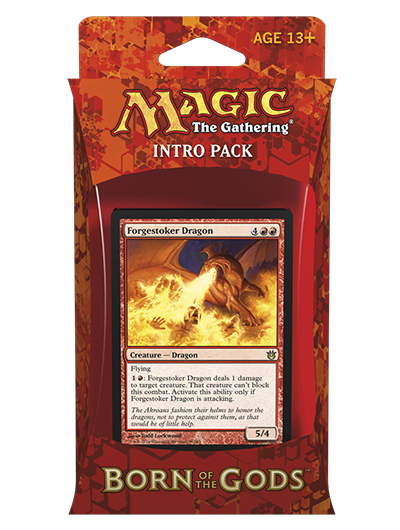 Still expensive to cast, but it has flying, and then you can pay two mana to deal one damage to an opponent's creature, and then that creature can't block, but this can only happen if Forgestroker Dragon is attacking. 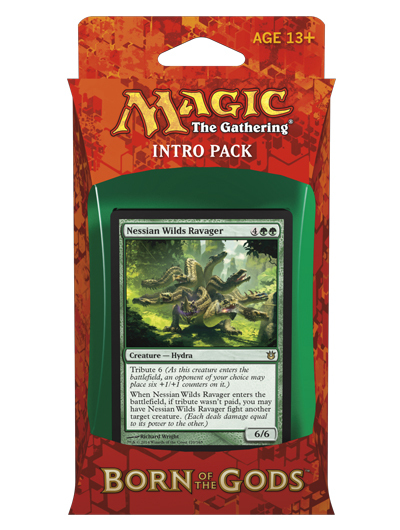 Nessian Wilds Ravageris a 6/6 for six mana, but your opponent chooses whether or not to make it a 12/12, or else lose one of their creatures to this one. 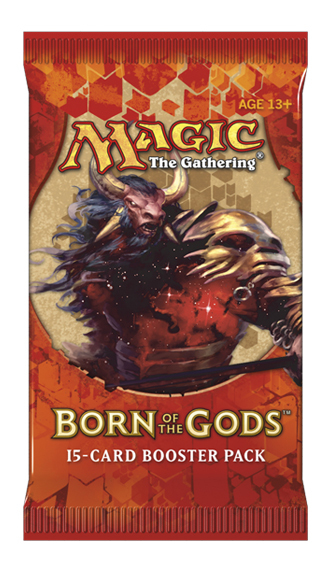 Tribute could be fun, but I think I like Forgestroker Dragon best, with Nessian Wilds Ravager being a second favorite.